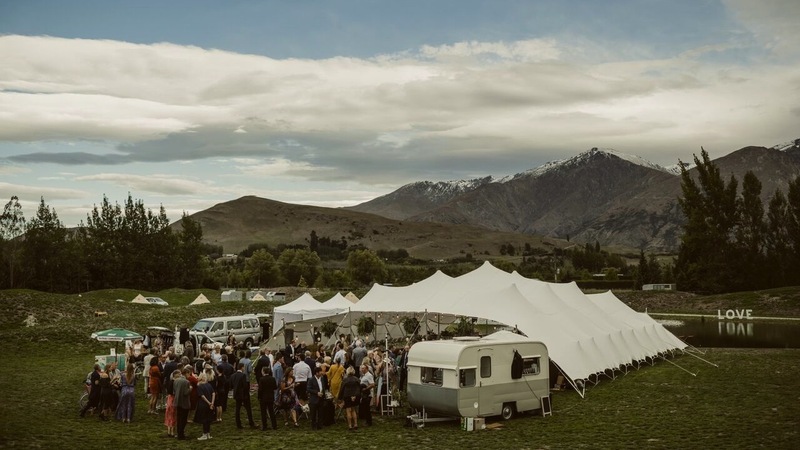 Stretch Tents Canterbury offer a hire service from North Canterbury to Dunedin. If you are looking for a Marquee or Canopy solution that stands out from the crowd or a statement for your next event consider one of our Stretch Tents. We pride ourselves on our professionalism and ability to think outside the box. So, whether you have a simple backyard wedding or a more challenging location, give us a bell as we are always happy to discuss your options. We stock a wide range of tent sizes for hire that can either be installed freestanding on grass or as a canopy attached to a building. Our tents can cover 1-1000 people with the ability to join together to create large spaces. They are fully waterproof, fire retardant and engineered for New Zealand conditions. To assist in sizing a tent for your next event check out our tent sizing and capacity chart and for further information view our Brochure. We are luck enough to work with some great suppliers and have partnered up with Happy Hire for all your event requirements. Check out their wide range of hire products, let us know what you would like and we can package it up. Give your wedding that intimate touch by having it at a place that is special to you. Whether it is at home, the bach or on the beach with the flexibility of a Stretch Tent we can give you protection from the elements at a location of your choice. 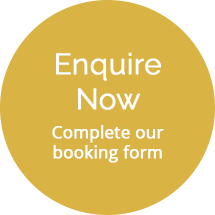 Our prices are based on a three day hire so there is plenty of time for set up and pack down. Stretch Tents understand how important your corporate image is. We offer a service that can allow for early or late Tent Erecting, depending on your needs, Corporate Branding, and multiple site locations. See Corporate events for more information. Comes highly recommended! ! Vanessa was an absolute super star to work with nothing was ever a problem. .. her team rigged our tent perfectly how we wanted it and would absolutely use these guys again in a heart beat! Thanks so much made our wedding exactly how we imagined it! The stretch Tent team have provided 2 tents of different sizes for parties at our place. 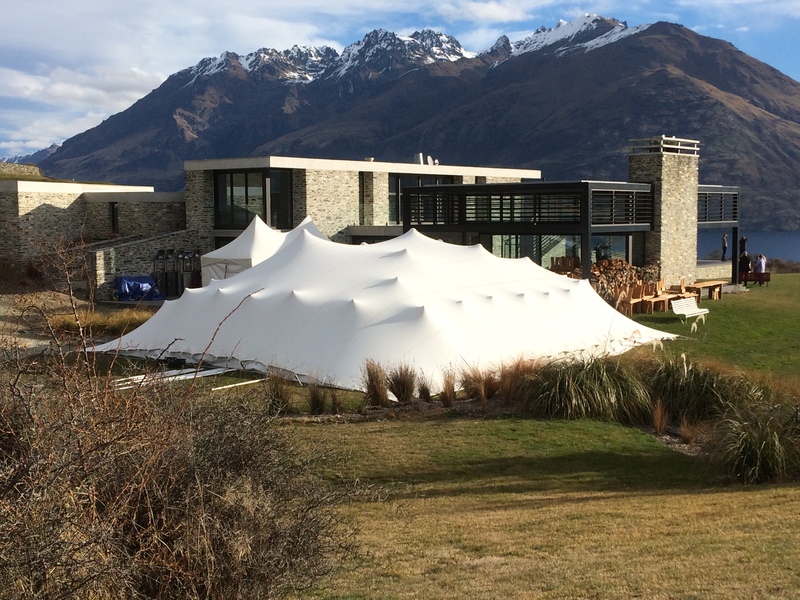 The service is awesome and tents amazing to keep out the elements given NZ's fickle weather patterns. One day we expected rain however got boiling sunshine - the tent worked a treat to keep guests cool and out of the heat. These are so much better than traditional marques, softer in appearance and work in those odd strange places where a conventional tent would not. I would definitely reccomend Stretch Tents. Efficient, professional and so helpful! We hired a stretch tent for our wedding and from the get-go Vanessa was an outstanding professional! I am hoping to use them in the future when we have another shindig one day! Vanessa and the team at Stretch Tents did a great job for our recent wedding. We were so impressed with everything, the tent was fantastic as was the tables and chairs. We had so many comments on how amazing it was. Thanks again for the great service. Stretch tents are amazing! Not only is the end product super stunning but the staff are amazingly helpful with anything wedding related. Big thanks especially to Vanessa!! We got so many comments about how good the tent looks!